From the discovery of the first kites in China, to the earliest attempts to fly with wings made of feathers and wood; flight has been the oldest dream of mankind. For the young Gilo Cardozo, this fascination with human flight was the beginning of all his dreams. In fact, it was all he ever wanted to do. The same young boy was always pulling his toys apart to discover how and why they worked. This mechanical mind coupled with the fascination for flight formed the basis of his lifelong endeavour to advance personal aviation. Today, Gilo has joined the ranks of visionary inventors and aerospace engineers that have successfully translated their boyhood dreams into a reality. It is his passion and determination that defines what Gilo Industries Group do as a company. Each company within the Group thrives on Gilo’s original belief that we can do better, that form follows function and that everything must serve a purpose. This spirit allows Gilo Industries Group to continually push the edge of aviation technology and thrive in the aerospace and defence industry. 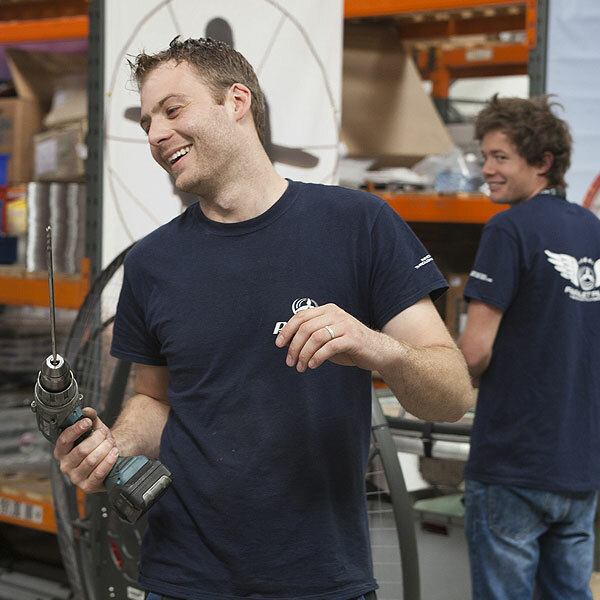 Gilo Industries Group is an aviation-focused company fuelled by passion for aerospace technology. From air, land or sea, we provide solutions that advance technology and discovery while meeting customer needs with high impact, best value aerospace products, systems and services. We foster a culture of invention in all aspects of our business through ingenuity, tenacity and entrepreneurial spirit and embrace an uncomplicated business environment built on respect, strength of character and the ability to have fun. We build lasting relationships with our employees, customers, suppliers, and partners. 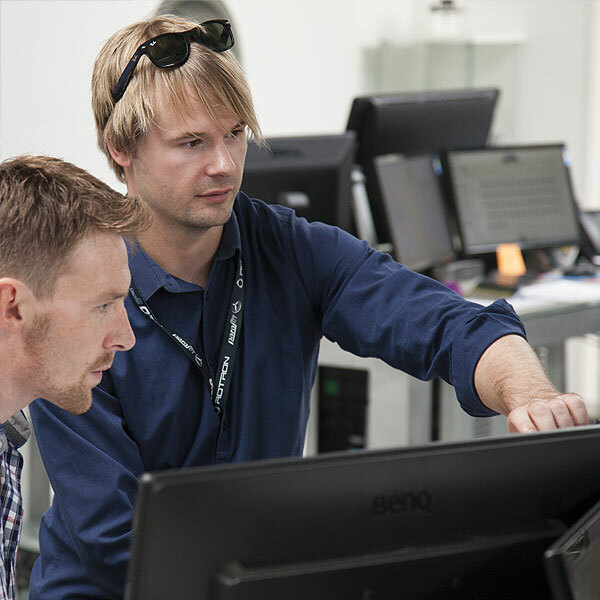 Our goal is to conceive and create unrivalled innovative technology solutions, provide excellent service and the most rewarding customer experience in the aerospace industry. Our reputation for innovation is the cornerstone of our success. Yet, we are never comfortable standing still. We think differently and strive to apply fresh thinking and creativity to everything we do. Some might call us geeky at times but we say we are just passionate about what we do and are really good at it. We unlock the energy and creativity of our team, embracing the new and different. We love grand endeavours, as well as everyday improvements; continuously challenging what’s possible within an innovative, collaborative and fun working environment. We never forget our customers and the challenges they face. They are our most important component. All of our decisions are taken with them in focus, after all, the latest innovation is only as good as its practical application. That’s why we always go the extra mile and have the staying power to resolve problems - no matter how challenging. It’s through this grounded approach and a sensitive antenna to market needs that we are delivering innovative customer-driven solutions that are changing the boundaries of what’s possible today. Our team attaches enormous pride in what we have achieved and what we will achieve in the future. We are hugely proud of delivering industry-changing solutions and creating the stimulating and dynamic environment we believe is truly unique in our industry. We desire to surpass ourselves, to be able to deliver the best for our customers and exceed expectations in quality, service, affordability and on-time delivery. Trust is built through our continuously improving performance and delivering on commitments. Gilo Industries Group make up an extraordinary team of management, engineering, technical and operational staff. Where one lacks in skills, the other picks up. It is hard to imagine a more supportive group of individuals who are as excited about each other's ideas on a daily basis. Their enthusiasm for life and the world around them drives the business to new heights. "When I first started out with Parajet, I had always been excited by the progress that was being made by our small company. What I’ve always been interested in and has been my driving force is getting people into the air in personal aircraft and having fun, and making that business grow. It is our passion and obsessive nature that defines what we do. You’ve got to get out there and show people what you can do. We have a host of exciting projects being developed that goes beyond what people can imagine and can truly be classed as disruptive technologies that will change the face of aviation. Our growing engineering experience means that we can take a creative and rigorous approach to design. These hallmarks are evidenced in every single aspect and component of our products and technologies. It is our drive, determination and passion for flight which allows us to continually push the edge." Gilo Industries Group has always recognised the key importance of partnerships in every aspect of the business, from building organisational strength to the continued delivery of innovative products and services that meet the needs of our customers. To ensure longevity, Gilo Industries Group is fully dedicated to working with all stakeholders based on a partnership of mutual trust and transparency. Founded in 2010 with a five-person team, Kuang-Chi has created a Global Community of Innovation of more than 2,600 employees in 18 countries and regions which is dedicated to disruptive innovation and principal investment in cutting-edge technology sectors including communications, metamaterials, and space technology. Kuang-Chi's subsidiary company KuangChi Science Limited (00439.HK) is concentrated on the development of future technology. The Group also operates through Shenzhen-traded Zhejiang Longsheng (002625.SZ) and Martin Aircraft Company (ASX: MJP), as well as research institutes and private companies. Strong strategic partnerships are an important driver in our organisational development and market growth. They show our commitment to accelerating our business and driving value for end user applications. For over 60 years, Martin-Baker has been the world leader in the design and manufacture of ejection seats. As pioneers in their field with over 7,500 aircrew lives saved, and supplier to over 70% of the Western world's air forces, Martin-Baker represents the pinnacle of British engineering. Gilo Industries Group have built a strategic partnership combining Martin-Baker's knowledge of design, testing, and materials with the Group's vast experience and innovation in aerospace and aviation engineering. The alliance has produced unique technologies and innovations at a quality and standard that embodies all that is meant by 'Made in Britain'. BAE Systems provide some of the world's most advanced, technology-led defence, aerospace and security solutions and employ a skilled workforce of some 83,400 people in over 40 countries. Working with customers and local partners, BAE Systems develop, engineer, manufacture and support products and systems to deliver military capability, protect national security and people and keep critical information and infrastructure secure. BAE Systems has appointed Rotron Power as the preferred suppliers of rotary-powered propulsion systems. In taking this step, BAE Systems has recognised Rotron Power's consistently high levels of quality systems, professional project management and technical capabilities. BAE Systems Preferred Supplier award is characterised by strict criteria, such as quality certification according to ISO:9001. BAE Systems Lead Auditors reported they were impressed by what they saw during their audit and were happy to induct Rotron into the ranks of its strategically important suppliers. This status is granted to only a very few suppliers. Northwest UAV Propulsion Systems, established in 2005 by president and owner Chris Harris, is a leading technology company that designs and builds UAV engines, UAV control systems, and support systems for unmanned air, land and sea vehicles. Through our strategic partnership, NWUAV are a major contributor in helping us build multi-tier relationships with clients within the United States as well as providing a distribution network for our Rotron UAV engine technologies for all three armed services in that region. NWUAV also provide Gilo Industries access to a variety of sophisticated research, development, testing, and manufacturing capabilities that help us deliver products and solutions that are at the cutting edge of aerospace innovation. The Association for Unmanned Vehicle Systems International (AUVSI) is the world's largest nonprofit organisation devoted exclusively to advancing the unmanned systems and robotics community. Serving more than 7,500 members from government organisations, industry and academia, AUVSI is committed to fostering, developing, and promoting unmanned systems and robotics technologies. AUVSI members support defense, civil and commercial sectors. Gilo Industries CEO Jim Edmondson is the current President of the AUVSI UK Chapter, following his tenure as Vice President. The Chapter works to advance the unmanned aircraft industry within the United Kingdom, educatiing all relevant stakeholders in government, business, and academia through networking, roundtables and education events. By promoting unmanned systems and related technologies, the UK Chapter aims to develop partnerships and synergistic relationships to understand, promote and support the benefits and capabilities offered by the UK’s rapidly growing unmanned systems community. The Aerospace Growth Partnership developed the National Aerospace Technology Exploitation Programme (NATEP) aimed at small and medium sized suppliers to help them develop their own innovative technologies to enhance their capabilities and increase their ability to win new business with higher tier companies anywhere in the world. The programme built on the successful regional technology programme (ATEP) run in the Midlands. By continuing to develop an aerospace supply chain with a high rate of innovation, rich in new technologies the UK will be better able to offer the right products and services, at the right time and ahead of competition. This will ensure that market opportunities are exploited with high value manufacturing work retained in the UK. The Government’s Advanced Manufacturing Supply Chain Initiative (AMSCI) provides the opportunity to take this forward. All available grant funding is now committed to 114 collaborative technology projects involving 268 companies, supported by 152 end user or customer companies. The West of England Aerospace Forum (WEAF) represents the aerospace and defence industry in the South West of England, UK. We strive to grow the sector and act as an enabler of excellence regionally, nationally and on the global stage. WEAF is a membership trade organisation that is passionate about all aspects of aerospace and defence. Their member and partner base represent a very wide spectrum – from SMEs to global corporations. As one of the largest aerospace and defence associations in Europe, WEAF are able to provide a strong voice for their members, as well as representation and access to prominent regional, national and international decision makers in industry and government. By providing support and new opportunities for their members, WEAF strive to improve efficiency and effectiveness in the supply chain, and bring stakeholders together to create one cohesive community. SOLIDWORKS solutions cover all aspects of our product development process with a seamless, integrated workflow, design, verification, sustainable design, communication and data management. Designers and engineers can span multiple disciplines with ease, shortening the design cycle, increasing productivity and delivering innovative products to market faster. Founded in 1998, Solid Solutions Management focuses on providing industry-leading software and services. This philosophy has helped Solid Solutions gain respect, recognition, and awards as an established and high-capability supplier of SOLIDWORKS software. With main offices in Warwick and Fareham, and regional training facilities throughout the UK, Solid Solutions supports thousands of customers encompassing all industry sectors and ranging in size from single-person operations to large multi-national organisations. The SOLIDWORKS support package includes full access to a wealth of resources made available from Solid Solutions including telephone support, online training videos, Launch Events, use of the unique MySolidSolutions add-in and access to weekly webcast sessions delivered by fully certified engineers. To build and grow the company we are passionate about, we need the time and money to focus on things that will move our business forward - things like innovation, sales and customer service. It was important for the growth of our business to find a reliable logistics partner that could make it speedier, simpler and easier for us to adapt and serve an increasingly global marketplace. Wherever our customers may be. Our partnership with UPS has allowed us to completely overhauled our logistics and create a comprehensive supply chain solution to send our specialised components, parts and vehicles with ease - and with the confidence that our products will arrive quickly and safely in the hands of our customers. A team of UPS experts has been with Gilo Industries every step of the way since the beginning of our partnership, helping us push the boundaries of what's possible - on land and in the air. Today, Gilo Industries can safely reach even the most remote areas - and have shipped to Brazil, Africa and even Zanzibar. Bremont Watch Company is an award-winning British company producing beautifully engineered chronometers at their headquarters in Henley on Thames, England. Much of Bremont's DNA is deeply rooted in aviation. Co-Founders Nick and Giles English, both pilots themselves, set out to make high quality watches of classic design durable enough to withstand any pressures an aviator’s timepiece may endure. Each is designed to appeal to those who share a passion for - and appreciation of - innovation, craftmanship and engineering. With core values deeply rooted in aviation, British engineering and adventure, Bremont epitomises the ethos at Gilo Industries. We realise the importance of working in conjunction with brands such as Bremont in order to enable us to grow as a business and to deliver the best results, supporting all the functions across the business and continue to have a clear passion to do things differently. As a result of the partnership, Gilo Industries have been invited to participate in various promotional and marketing events including the prestigous monthly Bremont Adventurers Club at their flagship boutique store in Mayfair, London. Bear Grylls is a man who has always loved adventure. After breaking his back in three places in a parachuting accident, he fought his way to recovery, and two years later entered the Guinness Book of Records as the youngest Briton to climb Mount Everest aged only 23. He has since led ground-breaking expeditions across the world. But for Bear, it is not just about pushing the limits. It's about overcoming challenges, and living your dreams. This belief, and Bear's gift for communication, have led him to become a world class motivational speaker, author and tv personality. His passion and enthusiasm for the outdoors are now shared and enjoyed through his TV survivalist programmes in over 100 different countries around the world. Over their long term friendship, Bear and Gilo have shared an innate desire to defy convention and to push the boundaries of human endeavour that has taken the pair on adventures to various different countries and continents; to vastly different types of climate and to extreme altitudes. From the remote jungle plateau in Venezuela, to the record-breaking heights above Everest and the harsh wilderness of the Antarctica, their friendship has given them the chance to explore and fly over some of the world's most remote regions. South Wiltshire University Technical College offers a brand new way of learning for 14-18 year-olds focusing on Science and Engineering, where students learn practical skills alongside academic subjects and work regularly with local employers and experts from the university to develop employability skills. The UTC is backed by the University of Southampton and by many of the area’s world class employers. All staff are qualified teachers who are experts in their subjects and many have had relevant industrial careers to help them link learning to the real world. The UTC uses real challenges from industry to bring learning to life and experts from the University and local employers explain how they apply Science and Engineering ideas in practice. Gilo Industries Group is proud to be a supporting employer at South Wiltshire UTC and have the opportunity to work alongside local students in the classroom and inspire the next generation of engineers. Gilo Industries takes part in guest lectures alongside student visits to the factory enabling student to see how the learning in the classroom can be linked to real challenges faced by industry. We also offer students the chance to carry out work experience and test out possible future careers. This exciting benefit for students means that they can experience a real-time business environment and make a real step towards a successful adult career.